A: The species from this region produce leaves that are more or less the same in structure and size, regardless of the season. They are called "homophyllous" species (i.e. "same leaves"). Subgenus Isoloba section Isoloba is moved into the already existing subgenus Temnoceras section Temnoceras. 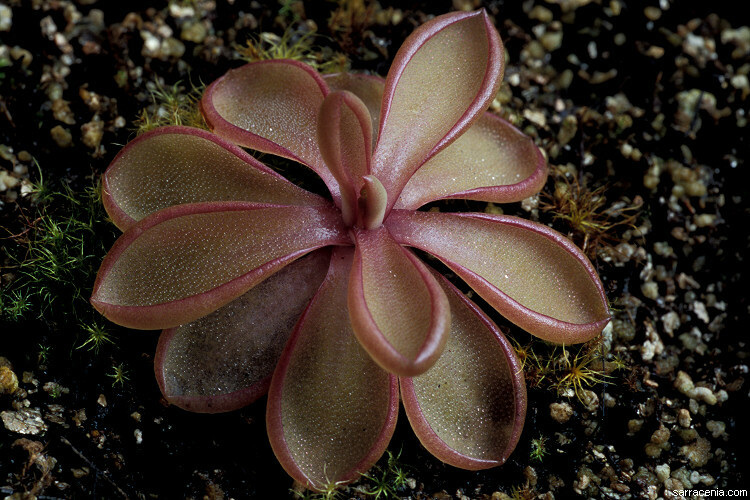 Pinguicula sharpii is merged with P. lilacina. Differing from the rounded margins of most Pinguicula flowers, this species has irregularly ragged flower petals. Page citations: Casper, J. 1966; Cieslak, T. et al., 2005; Lampard, S. et al. 2016; Rice, B. 2006a; Roccia, A. et al. 2016; Schlauer, J. 2002; Shimai, H. & Kondo, K. 2007.